"The Perfect Wave - Chapter 2," from our 1998 Tulane Football Documentary, is out. Storyboard App Subscribers can get the episode today. Arrives next week for all other apps. Greenies and College Football fans. I'm excited to say that Chapter Two of our six-part audio documentary "The Perfect Wave" is officially out on our Storyboard Podcasts app. If you are a premium subscriber, you can download the episode from your feed starting tonight! This 29-minute episode looks at the team as they take the Causeway and arrive in Covington, coming off a 7-4 season that represented progress but left players with a chip on their shoulder when they did not reach bowl season. We figure out what kind of expectations the team fostered in that camp, as well as how they came together and laid the foundation for the season to come in Chapter Two: Covington. If you are already subscribing on Storyboard, an app in the Apple store, these notes are for you. Tonight's episode -- which comes a week early -- is your first bonus perk for becoming an All Access supporter. When we tried this model to support the show, we didn't know if it would work or anyone would be interested. Let me say how much I appreciate the response and how it will make the show better as we continue working to tell this story. As a token of our appreciation, we are sending a Fear the Wave sticker to every premium subscriber for their help in making this project a reality. If you are not a supporter yet and want to be, here's the deal. The All Access subscribers who download the Storyboard Podcasts app will get all episodes a week early, receive at least two bonus episodes only for the Storyboard supporters, and get the sticker from above -- support costs $2.99 for four weeks of access, and you can shut it off at any time. 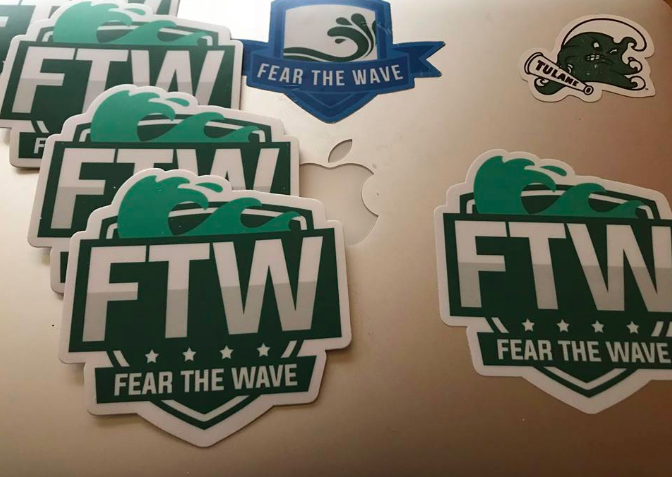 Also, since I built the app, I want to note if you have any feedback or run into any issues, please shoot me a DM @FearTheWaveBlog on Twitter and find me by email (JP @ fearthewave dot com). If you are not an iPhone user or this isn't for you, the six major episodes will be posted publicly, and you can listen to the first one here on Soundcloud or on the podcast app of your choosing. I hope you enjoy the project, and Roll Wave!